New Delhi: Pitches in the Indian Premier League (IPL) have by and large been pretty good over the years even if some matches got affected by dew, the anticipation of which made captains field on winning the toss at a couple of venues. There have been matches that were decided by the toss itself as the teams knew the conditions. One doesn’t hear about unacceptable pitches in the IPL. So, the pitch at the M.A. Chidambaram Stadium at Chennai’s Chepauk for the inaugural game of the tournament on Saturday seemed to have puzzled both the players as well as the authorities. 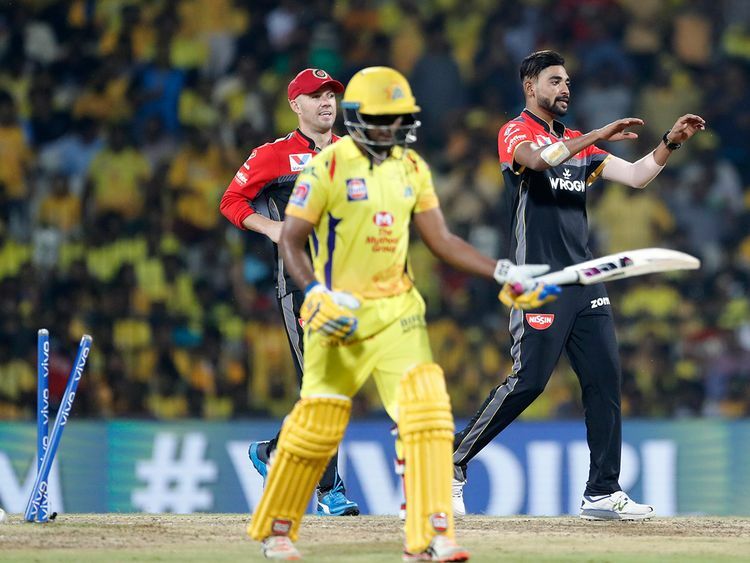 In sports, losers see positives and Bengaluru skipper Virat Kohli was happy that they were through with the CSK match straightaway and also for taking the game into the 18th over of a Twenty20 match. Accomplished batsmen Kohli, AB de Villiers and Moeen Ali tried to go after the off-spinner, but ended up looking ungainly while getting dismissed. Harbhajan’s captain, Mahendra Singh Dhoni was not in agreement. He was quite frank in admitting that it was not a wicket his team would like to play on, the pitch has to be a lot better if his CSK are to be consistently good at home. No two pitches are alike, but in the short-format game, people want to see big shots and high scoring. Just as 300-plus has become the new norm in the 50-over game, chasing 200-plus in Twenty20 would be as exciting. For high-scoring matches, the pitches have to be true and firm with the elements throwing in a bit of uncertainty.